Death is abroad in ancient Egypt. The god Set has murdered his brother Osiris, incurring the wrath and vengeance of Isis, the dead god's wife. With Set's vile act, the pantheon of Egyptian myth is split into opposing forces, those who maintain the status quo and those who seek to upend the traditional roles of immortals. As part of this new revolution, mortal men have been sent on quests to find the corporeal flesh of Orisis, which Set scattered to the corners of the Earth. They seek out these chunks of dessicated meat and will return them to Isis so that she might re-invest her husband's corpse with his life essence and soul. One such quester is Qebera, formerly captain of Osiris's personal guard. He has journeyed hard and long on the track of a rumored chunk of his lord, and comes close to finding it in the deep, killing desert of what will one day be Iraq. The prize, whatever form it takes, is held by a village oracle who offers it to Qebera on one condition, that the old guardsman save the village from the despotic treatment of the local sheik. But what can Qebera do as one man in a foreign land? Can he fight the armies of a self-proclaimed king? 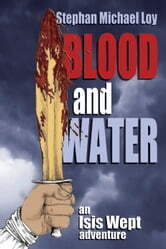 Blood and Water is a high fantasy jewel, the kind of tale that illuminates the worth and purpose of man. 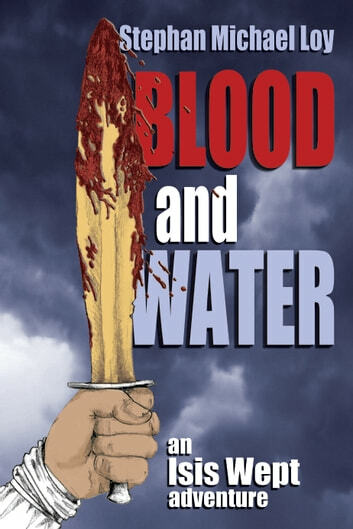 Like its progenitor Isis Wept, also by Stephan Michael Loy, Blood and Water explores the deep, unbreakable relationship between man and his environment.